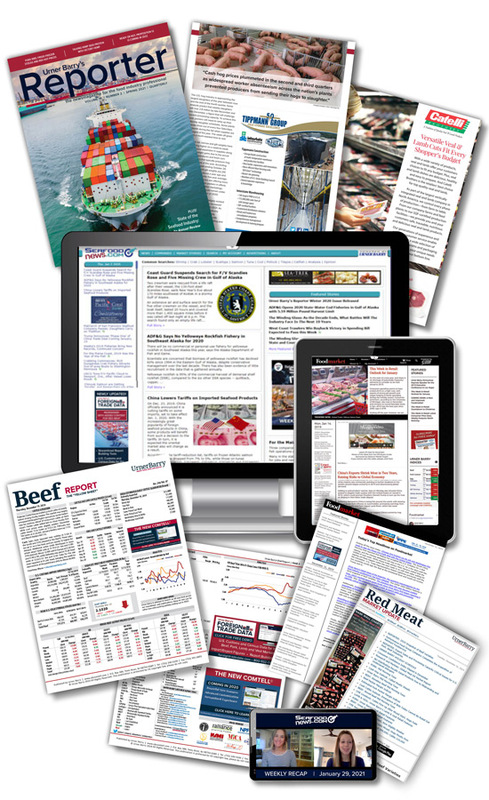 With over 150 years experience reporting market news and price quotes in the beef, poultry, pork, egg and seafood industries, Urner Barry is a company that’s familiar to your customer base. Our global reach in the foodservice industry stretches from the cattle ranch and fishing vessel right down to the dinner plate. Target your audience with print ads, online ads, email newsletters, the daily market video and more. Our newsmagazine is for the food industry professional and targets the entire distribution chain, including producers, processors, HRI suppliers, retailers, wholesalers, and foodservice buyers with over 14,000 copies in circulation per issue. Our websites' users are made up of both large and small volume buyers and sellers, ranging in function from producer to importer, broker, trader, distributor, foodservice and/or retail executive, restaurant owner, chef, and more! Subscribers to our pricing reports are large and/or small volume industry players involved in the buying and/or selling of red meat, poultry, seafood, and egg products. Advertising opportunities include display ads and classifieds for publications produced either twice weekly or five days per week. Subscribers also have the opportunity to receive e-newsletters as well as daily market videos from us. Here’s your chance to reach a highly qualified audience with a targeted message.